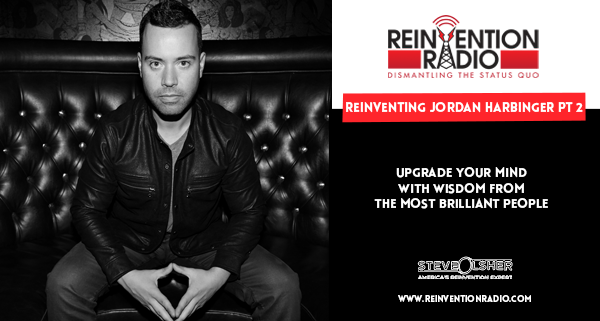 Once referred to as “The Larry King of podcasting,” Jordan Harbinger is a Wall Street lawyer turned talk show host, social dynamics expert, and entrepreneur. For 11 years, he hosted The Art of Charm Podcast, which is regularly in the iTunes top 50 and downloaded over four million times a month. Jordan has embarked on a new adventure, “The Jordan Harbinger Show,” where he deconstructs the playbooks of the most successful people on earth and shares their strategies, perspectives, and insights with the rest of us, interviewing the world’s top performers. Throughout his career as a host, Jordan has interviewed Neil deGrasse Tyson, Russell Brand, Shaquille O’Neal, Simon Sinek, General McChrystal, Tony Hawk, Larry King, Mike Rowe, Chris Hadfield, Penn Jillette, and many more. Jordan has always had an affinity for social influence, interpersonal dynamics, and social engineering, helping private companies test the security of their communications systems and working with law enforcement agencies before he was even old enough to drive. Tune in to hear Jordan, Steve, Mary, and Richard discuss how to upgrade your mind with wisdom from the most brilliant people. McDonald’s hot coffee case .. she had every right. He should have seen it coming; it’s completely par for the course. He was prepared financially to not be impacted. Did quitting podcasting ever cross your mind? I had my head in the sand. Starting with a blank slate podcast, what do you do differently? Is it important to niche your podcast? What does the new show revenue model look like? Reinventing Personal Healing – In this episode, tune in to hear Dale, Steve, Mary, and Richard discuss personal healing and clearing the way so you can be the best version of you.